As Morehouse College’s alumni, students and faculty discover the years of obfuscation by the board of trustees revealed in The Root’s investigative piece “The War at Morehouse,” three of the college’s most distinguished and successful alumni weighed in on the revelations exposed in our probe. We previously reported that during his undergraduate years at Morehouse, Jackson was suspended for leading a student protest against the trustee board. Jackson and other students held members of the board (including Martin Luther King Sr., the civil rights icon’s father) hostage, demanding a black-studies program and more African-American trustees. Jeh Johnson, who served as secretary of homeland security under the Obama administration, was a classmate of the recently fired president, John Sylvanus Wilson, while at Morehouse. During Wilson’s tenure as executive director of the White House Initiative on Historically Black Colleges and Universities, and before he became homeland security secretary, Johnson was appointed by President Barack Obama as the general counsel to the Department of Defense. Shelton “Spike” Lee based one of his early films, School Daze, on his experiences at Morehouse. 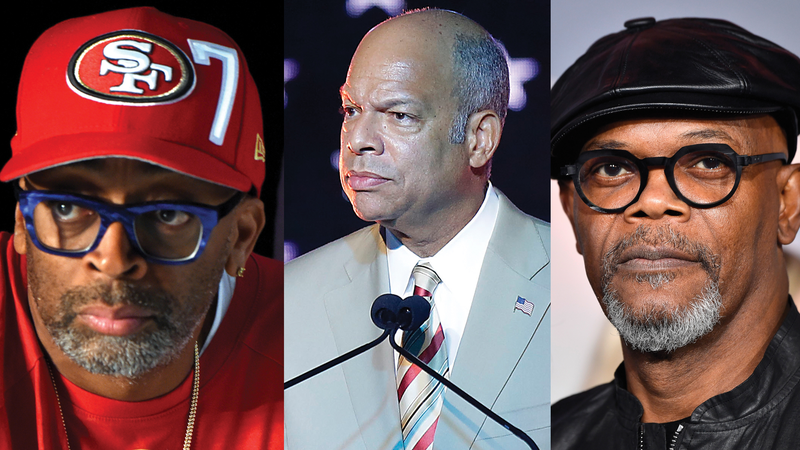 The noted filmmaker has been a vocal advocate for his alma mater, and even served on Morehouse’s board of trustees. Morehouse College, located in Atlanta, is celebrating its 150th year of operation and is America’s only all-male historically black college. The school’s alumni include poet Saul Williams, Atlanta actor Brian Tyree Henry and civil rights icon Martin Luther King Jr.